Thank you to all who participated in this Inaugural season. Look forward to seeing everyone again next season! Football is America’s game. 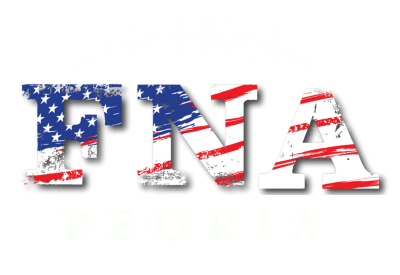 FNA is a non-contact youth co-ed flag football league for children in grades K-10. Our leagues provide a safe, positive, competitive, and family-friendly environment to learn the game the right way and have fun doing it! Our non-contact flag football format prioritizes a safe way to learn, practice, and play the game of football. Good sportsmanship among players, coaches, and parents is critical to creating our positive family environment. Created by Drew Brees, Chris Stuart, and ProCamps with a goal of providing the gold standard experience in youth flag football. 8400 N. Orange Prairie Rd. The season will run from September 11th to November 15th. All games will be played on Tuesday evenings between 5 PM – 9 PM. In the event of a rainout, we will try to reschedule on alternate days. Practices can begin any time up to six weeks prior to the season. The time and place will be determined by your coaches. During registration, you may request to play with as many friends as you’d like. You may also request a specific coach. We’ll try our best to accommodate requests, but there are no guarantees. There is no player draft. Our goal is to create balanced & competitive teams while accommodating as many team requests as possible. You are welcome to create your own team. If you don’t have a team, we will assist in finding a good fit for you. If you are interested in coaching a team, please contact the commissioner directly. We will have a coaches’ meeting for both experienced and new coaches to discuss plays, defenses, strategy, etc. before the season. Practice times and fields will be provided during the week. Coaches can also hold their practices before games on Fridays. All refund requests must be submitted in writing to your commissioner. No carts or wagons are allowed in dome!